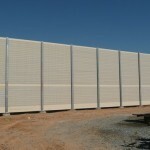 Environmental or ambient noise such as traffic, manufacturing, and commercial retail noise; nothing outperforms a well-engineered and efficient noise barrier wall by HLH Walls. HLH Walls manufactures the Tuf-Barrier™ – a post and non-perforated vinyl panel; reflective noise barrier wall system for commercial and residential applications. With an overall density of more than 4 pounds per square foot, and able to withstand a considerable “wind live load”; this noise barrier wall delivers strength and noise reduction performance that makes it ideal for multiple industrial, commercial and residential uses. 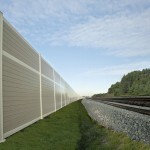 HLH Walls Tuf-Barrier™ noise barrier panel is comprised of tongue and groove PVC rail. With rail dimensions of 2.75″ x 6″ (face height), rails are stacked one upon the other, seeded within standard steel I-Beams to the desired height and capped with a “flat top” finishing rail. 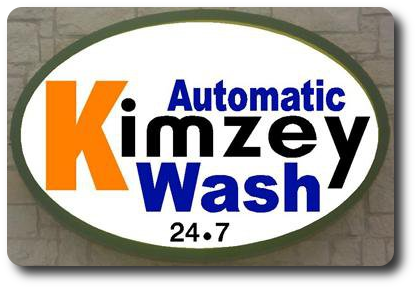 Color can be uniform throughout, or different rail colors can be used for a contrasting appearance. Additionally, posts, bottom and top rails can be a different color and “frame” the panels; which in itself can be another color offering. 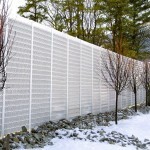 HLH Walls manufactures the Silent Protector™ a post and perforated vinyl panel; absorptive noise barrier wall system. This absorptive noise wall was specifically engineered and designed for maximum noise reduction. The result is an absorptive design that boasts an STC (Sound Transmission Class) rating of 31 and an NRC (Noise Reduction Coefficient) of 1.00, ranking the Silent Protector™ as one of the top-performing noise barriers in commercial and residential market today. 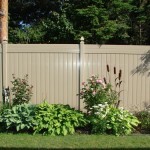 HLH Walls Silent Protector™ noise barrier panel is comprised of tongue and groove PVC rail. With rail dimensions of 2.75″ x 6″ (face height), rails are stacked one upon the other, seeded within standard steel I-Beams to the desired height and capped with a “flat top” finishing rail. HLH Walls Silent Protector™ colors can also be uniform throughout, or different rail colors can be used for a contrasting appearance. HLH Walls manufactures the Silent Protector Plus™ a post and perforated vinyl panel; absorptive noise barrier wall system with a composite backer-board insert. This absorptive noise wall was specifically engineered and designed for superior maximum noise reduction. The result is an absorptive design that boasts an STC (Sound Transmission Class) rating of 36 and an NRC (Noise Reduction Coefficient) of .95, ranking the Silent Protector Plus™ as one of the top-performing noise barriers in commercial and residential market today. 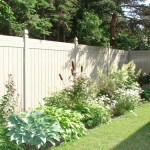 HLH Walls Silent Protector Plus™ noise barrier panel is comprised of tongue and groove PVC rail. With rail dimensions of 2.75″ x 6″ (face height), rails are stacked one upon the other, seeded within standard steel I-Beams to the desired height and capped with a “flat top” finishing rail. 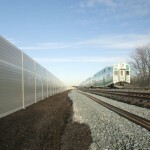 HLH Walls noise barrier system is essentially a post and panel system. Vertical posts are anchored to the ground using, precast or poured footings. Panels span horizontally or vertically between the posts and rest directly on the footings. Post spacing’s up to 14 feet can be accommodated. Wall heights over 30 feet have been constructed. 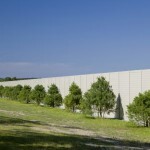 The HLH Walls Noise barrier system is designed to meet AASHTO guidelines. All manufacturing is carried out under regulated standards. Testing for structural integrity, acoustic performance, durability, (such as freeze-thaw, and fire), are performed on a regular basis. Reports are available upon request. All assembly of components uses non rigid connections to allow for thermal, frost heave, and settlement movements.